Asia Cargo News announced the results at an awards ceremony held in Shanghai, China, with 10,000 shippers and industry experts participating in the survey, according to the publication. The honor is particularly significant because the “nomination and voting results were determined by industry service users, rather than judges,” noted Guenther. The AFLAS awards recognize industry organizations for demonstrating leadership, consistency in service quality, innovation, customer relationship management and reliability. 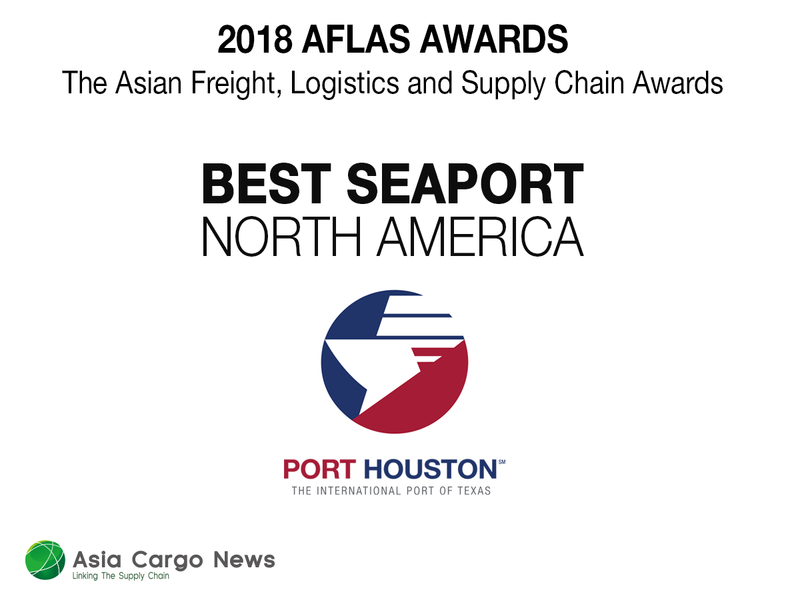 Port Houston’s representative in Asia, Ben Line Agencies, accepted the award on the port’s behalf. “It is just a great honor to be recognized, and I wanted to thank all of the hard working employees that we have that help make this happen,” added Guenther. Written by leading transport and cargo industry journalists, Asia Cargo News is a news publication focused on Asia trade.